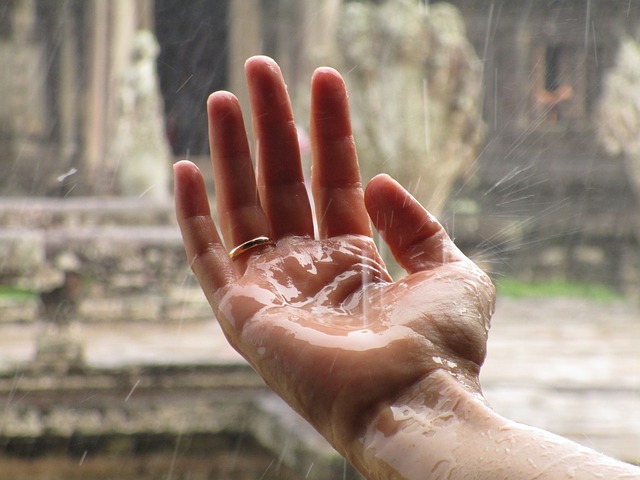 Cambodia’s weather is broken into two categories: the wet season which falls from May through October, and the dry season between November and April. However, there are times during the wet season where it isn’t actually that wet. The time of the year will influence what you pack for your holiday to Cambodia, but follow our guide and we will help ensure you have everything you need to make the most of your trip. 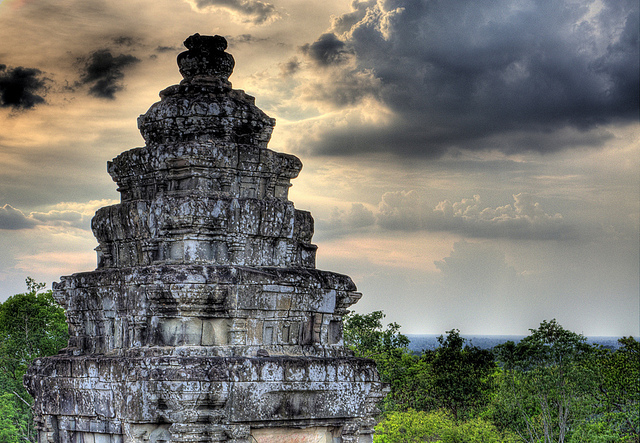 It is very important to consider cultures and beliefs when visiting the likes of temples in Cambodia. The government recently made a clear statement as to what not to wear when visiting such sites, but anyone with a basic understanding and consideration for other cultures will know what to wear. That said, you should always aim to keep your shoulders and legs below the knee as covered as possible. Given the heat you aren’t expected to wear anything too heavy or thick, but go for lightweight trousers, long-sleeved shirts or even a scarf, modesty shawl or sarong that you can sling over your shoulders for cover in the more conservative areas. Alexandra Jimenez, editor of Travel Fashion Girl a blog dedicated to helping give women more information on travelling told gave us her expert opinion on what to wear in Cambodia. Cambodia can be very hot during the day and noticeably cool in the evenings, so pack accordingly. 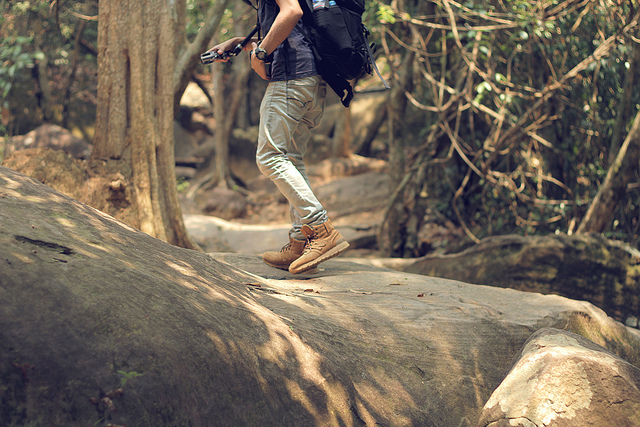 Cambodia is full of incredible sights and sounds and you are going to want to see them, so the right footwear is essential. You will be spending plenty of time on your feet so bring a pair that manages to balance durability with comfort. For men, look towards a comfortable pair of trainers that you don’t mind getting a little dirty or a practical pair of sandals. Of course, this depends on your location and activity as a walk through the jungle will require you to wear sturdy shoes. For women, you can opt for some equally robust flats or trainers for the more active activities and sandals for the short trips or trips to the beach. When visiting temples and some homes you may be required to remove your footwear, so anything that is going to be easy to slip on and off are worth packing. It doesn’t matter where you travel on your holidays, there is always going to be the off-chance that you misplace some of the essential travel items or have them stolen. You should always pack photocopies of your passport and important information when travelling through Cambodia, or anywhere in Asia. You will of course have your main bag and a ‘travel’ or ‘day bag’ that you can use for your tours and excursions. 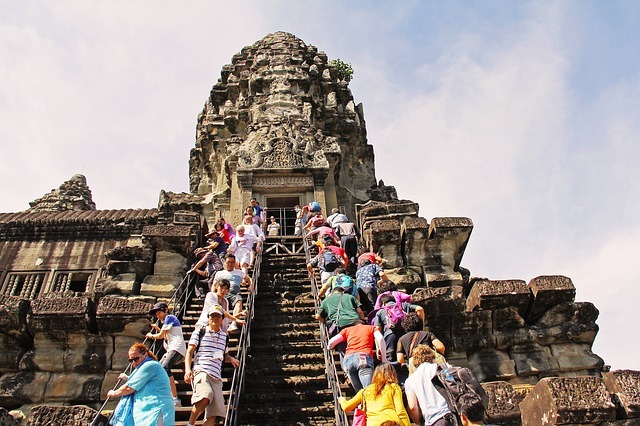 Cambodia is a very popular destination for travellers and those young people on a gap-year who will be walking around with large walking style rucksacks. A regular suitcase is perfectly acceptable for your holiday and probably the safest and most convenient option for you. But for daily use, we do recommend packing a small rucksack or similar than you can comfortably carry around with you. Like on every holiday you take, you will bring your own personal medicines and treatments that you know you need. But we advise that you also bring with you a small first-aid kit, just to be safe. It can contain just the necessaries like disinfectant, bandages and anti-diarrhoea medicine. Local prophylactics should be avoided, as many may not actually work and some have a questionable heritage and origin. Pack with you trusted brands from home, as well as things like fibre supplements to aid your digestion. Products like sun screen can be quite hard to come by in Cambodia, so make sure you have enough for your trip. Cambodian people don’t usually use sunscreen or lotion which means that it is all imported for the tourists, which has led to the price in these areas rising. You should also bring some hats and sunglasses for your trip. Cambodia is consistently hot year-round, with even the wet season being extremely humid and sapping at times so bottled water is essential. This may not be something that you pack pre-holiday but it is an essential for your day-to-day activities. Even when brushing your teeth, use bottled water. It is advised to bring a small bottle of hand sanitiser or antibacterial wipes with you before you eat or after you use any bathrooms. On a similar note, bringing a small amount of toilet paper with you will save you from the likelihood that some public restrooms will be without it. This may sound strange at first, but give it a little thought and it will make perfect sense. Having a small air freshener or similar product stowed away in your luggage means you don’t just open your bag to lovely smelling stuff, but it will continue to do so throughout your trip. 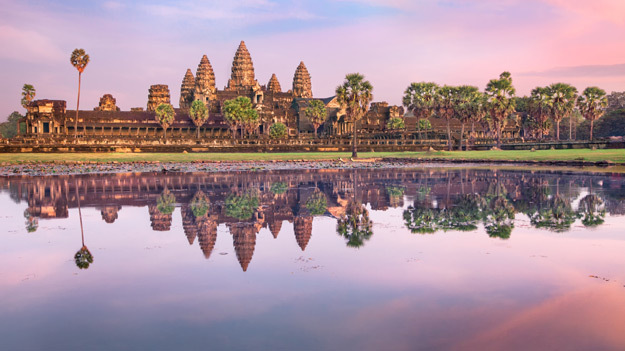 If you are heading off the beaten track and tapping into your inner adventurer at Angkor Wat on a Cambodian tour holiday, then it is important to have the local currency packed. The most commonly used currency is the US Dollar, which is easily accessible from the high street. But shops in the country may give change in Reils – the exchange rate for which works out at 6,500 Reils for £1. In Cambodia you will be hard-pressed to find cash points outside of the bigger cities, and although you may be on an organised tour with a clear plan, you will still need the assurance of money. There is no bigger worry than landing in a foreign country and realising you have no money, so having some pre-packed alleviates the worry of losing or forgetting your card. For further information and an example packing list, we have created a suggest packing list for Cambodia telling you about the temperatures and details about your tour. 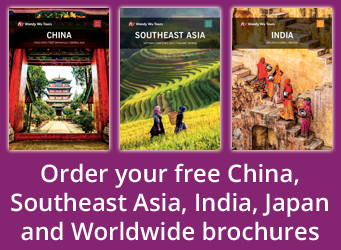 Book an escorted tour of Cambodia with the UK’s leading Asia Experts, Wendy Wu Tours. 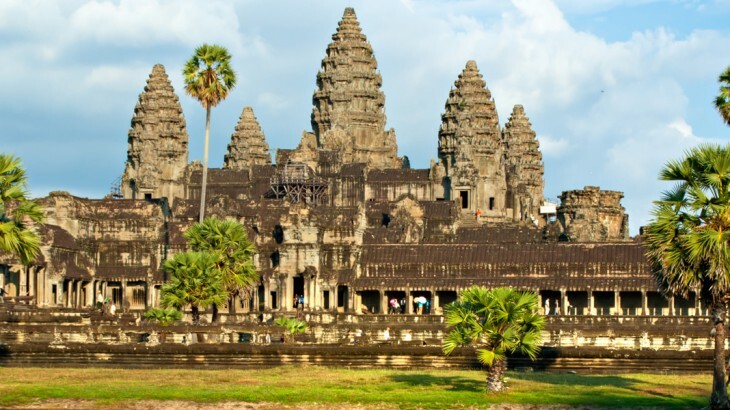 Our fully inclusive tours visit all the major sights of Cambodia for an unforgettable holiday. Cambodia cambodia news, shopping, tourism. permalink.